We might believe, without a doubt, that we know all there is to know about the Earth- that our knowledge is comprehensive and absolute. However, that couldn’t be further from the actual truth. We have put together several of the rarest and most jaw-dropping natural phenomena on Earth, that prove we know nothing about our little planet. Medieval Europeans believed these dancing lights to be the promised gift of St. Elmo, the patron saint of sailors: legend has it he promised to pray for them and give warnings in the form of lights on masts. Mount Erebus is one of the largest and most active volcanoes in the Antarctic. It’s covered with snow pipes made from frozen steam that comes out of fissures. A man from Hämeenlinna, Finland, discovered snow threads that looked like noodles on the lake near his house. He later learned that he could take these threads and make snowballs. There is a forest in Russia where trees are strangely bent, and scientists haven’t yet come to a conclusion about this phenomenon. Some think the reason is parasites, while others blame strong sea winds. Old-timers think this place is haunted. Some thought these red or blue flashes that appear at great heights were alien spaceships. Only after the phenomenon was caught on camera in 1989 was it proved that the sprites are “distant relatives” of lightning. Red tides are dangerous to sea dwellers because the oxygen content in the water decreases, while hydrogen sulfide and ammonia increase. A number of scientists connect the red tide with the first plagues of Egypt, where the waters of the Nile turned to blood, killing the fish. If you’re in the mountains and look away from the sun, you can sometimes see the shadow of a giant surrounded by a rainbow halo. This is actually the shadow of the watcher himself cast on the mist. Small drops fracture the light, which then form the halo around the shadow. This phenomenon is most frequent on Brocken, a mountain in Germany. It was once thought to be the doing of witches on Walpurgis Night. The Mekong River in Thailand sometimes erupts with crimson fireballs that rise 30-50 feet above the water and disappear. They usually appear in October, and there’s even a festival dedicated to this phenomenon. Scientists explain it as inflammation of gases rising from the river; locals believe the balls to be sent by Naga, a half-snake, half-human living in the river. Birds usually find their way by the sun and the magnetic field of the Earth. The reason for their strange behavior must be in geophysical anomalies. A strange object was found on the bottom of the Baltic Sea, looking like a UFO. Scientists haven’t yet come to a consensus about its origins. It’s made of basalt, so it is not a spaceship. Theories are that it’s a result of glacier meltdown or a secret Nazi military facility from WWII. This phenomenon occurs due to different freezing temperatures in arctic waters of different saltiness. It looks like a sudden icicle growth that turns into an icy spring at the bottom. It freezes any water animal it touches to death. Brinicle was first hypothesized in 1974, but its existence was only proven in 2011. There’s only one video of it, caught by accident by the BBC. Perfectly round and slowly turning circles of ice are formed by eddy flows in rivers. A piece of ice begins to turn, grinding down its corners on the surrounding ice and becoming a perfect circle. The phenomenon has been reported in Scandinavia, North America, Germany, England, and Russia. The Crooked Forest is found just outside of Nowe Czarnowo, in West Pomerania, Poland. The grove contains approximately 400 pine trees with bent trunks. They were planted sometime in 1939, but why or who made them crooked is unknown. 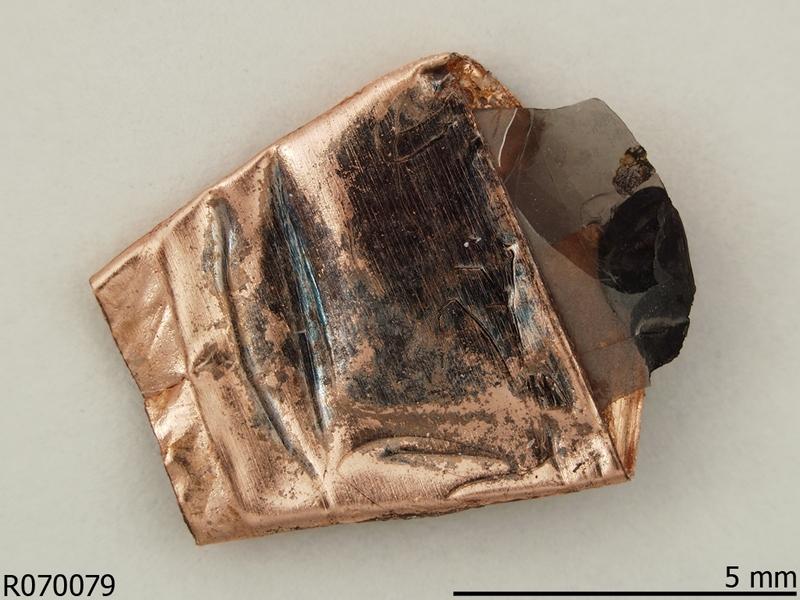 The picture above shows a mineral called ringwoodite, and it is odd because of its pressurized water content. Studies have shown that deep in the Earth’s mantle, encased in a shell of rare minerals, lies a vast ocean, whose overall volume may well be equal or greater than that of all the oceans on the Earth’s surface. Ringwoodite proves its existence, because this mineral only forms under conditions of the mantle, yet in presence of water.